You may need to update your estate plan based on these changes. But the beginning of the year isn’t the only time for an estate plan checkup. Whenever there are significant changes in your family — such as births, deaths, marriages or divorces — it’s a good idea to revisit your estate plan. Your plan also merits a look any time your financial situation changes significantly. No one can force you to engage in estate planning, but without a proper estate plan, you are putting yourself and loved ones in more jeopardy than necessary. Consider these seven real risks that can arise when you don’t have a plan. 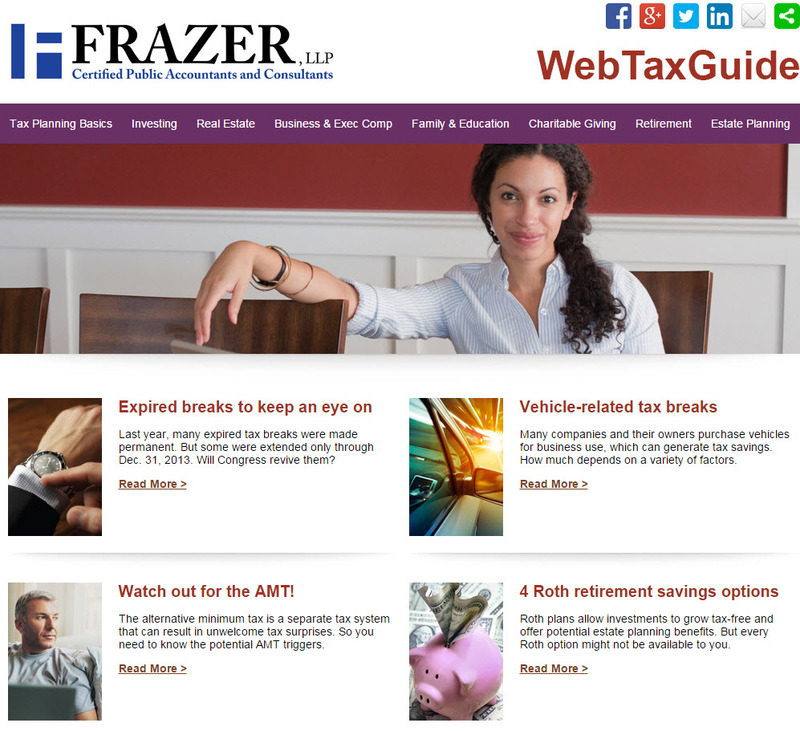 For more information contact your Frazer LLP tax advisor in Brea, 714.990.1040, or Visalia, 559.732.4135.